It took weeks to get hold of a bottle of this wine, and the special offer runs out at the end of today, so I haven’t been able to recommend it in the Telegraph but if you happen to be feeling thirsty as you pass by an M&S today – it’s worth a shot. Istria is a beautiful peninsula with a pretty coastline, at this time of year filled with slender stalks of asparagus growing wild in the olive-covered scrubland. It was part of the Napoleonic Empire, belonged to Italy between the two World Wars and is a mouth-wateringly good producer of salamis and cured meats. Also, there are truffles here. And wine. This is for those who like their wines dry and with a bit of a nip – think of it as one step further down the curve from picpoul. 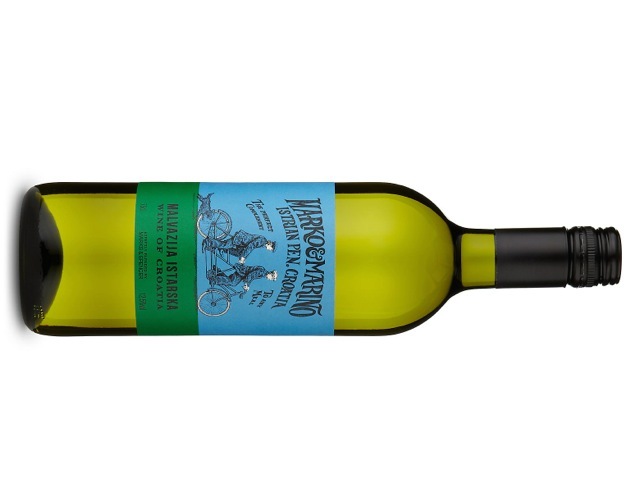 Unoaked and refreshing, this is reminiscent of Italian verdicchio – it has a gently spicy smell, and then it’s all mountain stream water with stones and lemongrass and a herbaceous, slightly puckering pinch of astringency. If the special offer had gone on a bit longer it’d have been a shoe-in for my column in Saturday’s Telegraph, which is all about wines that make you feel as if you’re on holiday.